Restless Legs is best described as an uncontrollable, strong urge to move your legs. You feel the need to move your legs, mostly when you are trying to relax, causing difficulties in sleep. Restless Legs, also known as Restless Legs Syndrome, or RLS, could give you unpleasant sensations in your legs, that occur mostly at bedtime. These sensations usually only feel better when you move your legs. You feel very uncomfortable and feel worse unless you move your legs. When the disorder is severe, you also may have the urge to move your arms, but that only happens in rare cases. These symptoms will start or get worse when you’re inactive, or in the evening. The urge to move increases when you’re sitting still or lying down and resting. Restless leg syndrome usually begins slowly. Over time, the legs become more affected. We know that RLS has a lot to do with Inflammation. When you have less inflammation, you have less restless legs. The process to remove what is causing your inflammation is a job. And a big one at that. Because this means that you will have to change your eating habits. Changing your eating habits by avoiding foods that cause the inflammation will set you on the right path of relief from RLS. And adding more anti-inflammatory foods to your diet will set you on the road to recovery. 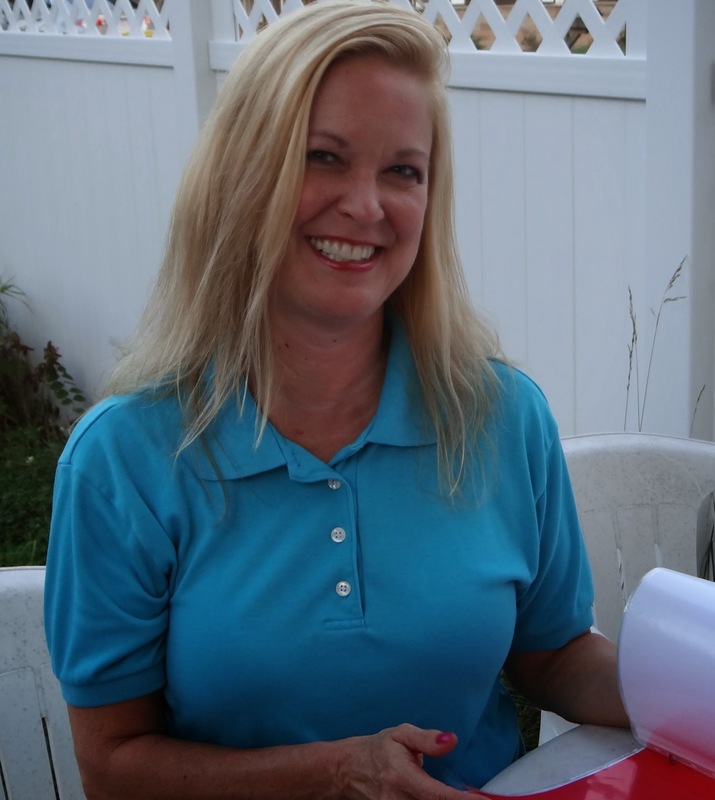 Moving in this healthy direction will have more benefits for you than just relief from RLS. As you begin removing the bad foods that are causing inflammation and adding in the good foods that will fight inflammation, you will be gaining relief from other things that may be weighing heavy on your mind. Weight, for one thing, is something that can be reduced as well when you begin to implement these changes to your diet. Some of the same healthy foods that will help with your RLS symptoms will also assist in getting you and keeping you at your goal weight. The foods that are causing inflammation in your body are high in sugar and saturated fat. Corn is at the top of the ‘bad’ list. Corn is in everything, and is causing lots of problems in our systems. GMO corn, is linked with inflammation in the stomach. 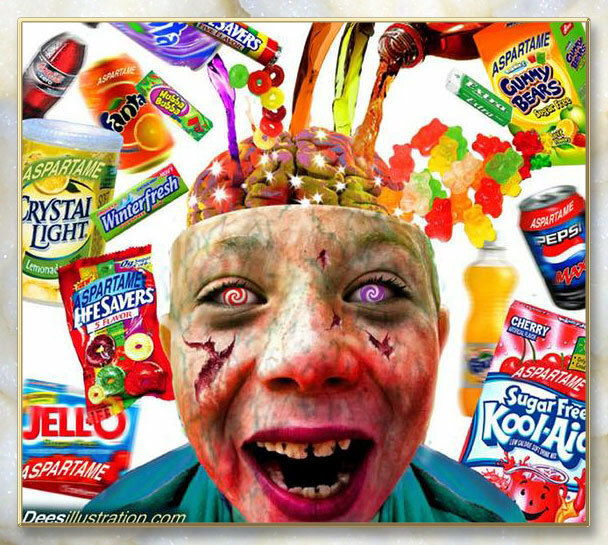 You should read the nutrition labels and try to avoid foods with high fructose corn syrup or corn oil. Gluten is another one on the ‘bad’ list. 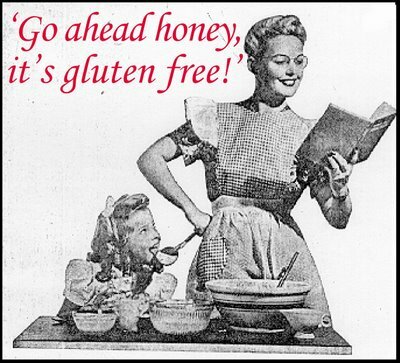 Gluten is found in most grains and is highly inflammatory. Bagels and other starches contain gluten and are famous for triggering inflammation in the body. If you try to avoid foods that contain gluten and choose healthy grains or seeds like buckwheat, quinoa or millet instead, you will feel much better. Trans fats and hydrogenated oils found in margarine, shortening and baked products that contain these fats like cookies, pies, buns, etc. are huge culprits of causing high inflammation in your body. Look for the healthy alternatives because even small amounts of trans fats are dangerous and should be avoided. Sugary foods are bad news for inflammation as well. Consuming foods like candy, or drinking soft drinks and even sweetened yogurt will elevate your blood glucose levels. When this happens, it activates the body’s response to cause inflammation. If you eat sugary foods, stick to 13 grams or less per serving. Deep Fried foods like french fries, onion rings, chips, hamburgers, etc. are harder to digest than baked or even pan-fried foods. Consumption not only causes inflammation but also dramatically increases exposure to free radicals, which damage our body sort of like rust damages a car. Iodized salt or any sodium is important to our body’s function, but too much can be harmful. It has been known to trigger high blood pressure, liver, kidney and heart disease. Especially in people who are overweight. Deli meat is on the ‘bad’ food list for causing inflammation. Any meat that contains preservatives, that have been found to cause cancer are very bad for you. Bacon and sausage are the biggest culprits. Omega 6 fatty acids that are found in cooking oils like canola, corn and soybean oil is something you should never have in your kitchen. Also, these oils are extremely fragile, that if exposed to heat, air or light they go rancid. Almost all store-bought corn, canola and soybean oil that have been sitting on the shelf for a long period of time has gone rancid. Rancid oils in the body causes free radicals which cause inflammation and could cause cancer. Replace these oils with the healthier alternatives like olive oil or coconut oil. Un-natural sweeteners like nutrasweet, splenda, saccharin, aspartame, aminosweet, etc. have been linked to many serious health conditions and should be avoided all the time. Dairy products like yogurt, ice cream, cottage cheese, butter, cheese, etc. are very inflammatory foods because they contain lots of hormones, antibiotics, and other harmful ingredients. Wheat products are a highly acid-forming and inflammatory item for the body. Also, most wheat now available is genetically-modified (GM). Many serious health concerns are starting to be linked to the consumption of GM wheat. Alcohol is high in sugar and a burden on the liver. Alcohol is another inflammatory food item that should be used in moderation or avoided altogether. Now that you know what to avoid that will cause inflammation in your body, here is the list of foods that fight inflammation in the body. Fatty fish. Oily fish, like salmon, mackerel, tuna and sardines are high in omega 3 fatty acids, which have been shown to help reduce inflammation in the body. To get the most benefits, you will need to eat fish several times a week and it should be cooked in healthy ways, by avoiding fried, dried or salted. Fish oil supplements are a healthy alternative if you don’t enjoy eating fish. Whole grains as opposed to white bread, cereal, rice and pasta, can help keep harmful inflammation away. Whole grains have more fiber, which has been shown to reduce levels of C-reactive protein, a marker of inflammation in the blood, and they usually have less added sugar. Dark leafy green veggies contain one of the best sources of vitamin E, which has been known to play a key role in protecting the body from inflammation. The veggies that contain the higher concentrations of vitamins and minerals are spinach, kale, broccoli and collard greens. Nuts are another source of inflammation-fighting healthy fats. Almonds, which are also rich in fiber, calcium and vitamin E are at the top of the list. Then comes walnuts, which contain high amounts of alpha-linolenic acid, a type of omega-3 fat. All nuts are packed with antioxidants, which can help our bodies fight off and repair the damage caused by inflammation. Soy contains isoflavones, estrogen-like compounds, that may help lower CRP and inflammation levels in women. Avoid heaviliy-processed soy and instead go with more soy milk, tofu, and edamame (boiled soybeans) for your diet. Low-fat dairy milk products as well as yogurt, which can also contain pro-biotics, have been known to reduce inflammation in the stomach. Foods with vitamin D and calcium, like skim milk and yogurt are good for all with their anti-inflammatory properties. They are also important to keep up bone strength and possibly reduce cancer and other risks. Peppers contain high quantities of antioxidant vitamins and lower levels of starch. Hot peppers like chili and cayenne are rich in capsaicin, a chemical that is used in topical creams that reduce pain and inflammation. This may not be true for people suffering from rheumatoid arthritis, though. You should stick with what works for you. Tomatoes may also help reduce inflammation in some people. Juicy red tomatoes, specifically, are rich in lycopene, which has been shown to reduce inflammation in the lungs and throughout the body. Cooked tomatoes contain even more lycopene than raw ones, so tomato sauce works too. Beets have a brilliant red color which has been shown to reduce inflammation, as well as protect against cancer and heart disease, thanks to their fiber, vitamin C and plant pigments called betalains. Ginger and turmeric spices, common in Asian and Indian cooking, have been shown in various studies to have anti-inflammatory properties. Turmeric, the ingredient that gives curry its yellow color, works in the body by helping to turn off the trigger that processes inflammation. 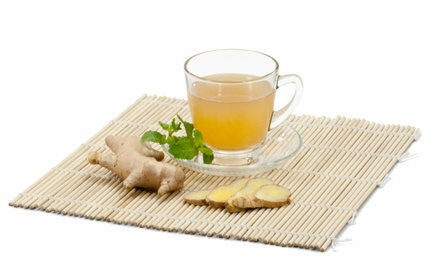 Ginger has been shown to reduce inflammation in the intestines when taken in supplement form. Garlic and onions both contain anti-inflammatory chemicals. Olive oil, along with anything fitting into a heart-healthy diet is good for inflammation. The compound oleocanthal, which gives olive oil its taste, has been shown to have a similar effect as NSAID painkillers in the body. Berries are low in fat and calories and high in antioxidants. Berries have been shown to have anti-inflammatory properties, possibly due to their anthocyanins, which gives them their rich color. Tart cherries have the highest anti-inflammatory content of any food. Experts recommend eating 1.5 cups of tart cherries, or drinking 1 cup of tart cherry juice a day to see similar benefit, they have to be tart. Drinking plenty of water is one of the most effective natural remedies for inflammation. Water reduces inflammation and promotes cartilage health. To reduce internal inflammation, drink water to carry away waste products. Your body releases histamine in order to stop water loss. If you give your body adequate amounts of water, less histamine will be released. Avoid caffeinated drinks as much as possible, day or night. Considering dietary supplements? You should first check with a doctor or nutritionist to find out if you are low on iron, vitamin B, folic acid, or magnesium first because deficiencies can bring on RLS symptoms. There are many supplements, vitamins & minerals and herbs to you to help fight inflammation. Calcium + Magnesium (CalMag), Carrot Juice, Curcumin, Grape seed extract, iron, L-Theanine, Omega 3, Valerian Tea, Vitamin C. All of the above listed have anti-inflammatory properties. Some even also act as a natural antihistamine, or lowers glutamate levels. While limiting or eliminating some foods and adding others, may just do the trick to stop RLS, there are a few other lifestyle changes that may contribute to the quickness of your relief from RLS. You should also try to get to bed at the same time every night, while allowing plenty of time to wind down first, no eating 2 hours before bed, and take a really warm shower or bath to relax about an hour before sleep. As a bedtime routine, try relaxation and stretching techniques as well.